Health-related gadgets and services featured prominently throughout CES 2019 — for good reason. Wearables -- including health trackers and remote patient monitoring devices — are set to become a $20 billion industry by 2023, according to the latest forecast from Juniper Research. Better yet, the growth of assistive “hearables” —or “connected” hearing aids — will swell the sector beyond $40 billion by 2022, the research firm predicts. The adoption of healthcare wearables is being driven by improvements in remote patient monitoring technology, in addition to increased adoption by medical institutions, according to Juniper. As wearables become part of patients’ treatment plans, Juniper expects original equipment manufacturers to adjust their business models toward data mining. For example, selling such data to insurance providers will produce somewhere in the area of $855 million by 2023, the firm forecasts. But concerns over data privacy among consumes and regulators will continue to represent the greatest barrier to revenue growth. Conversely, some insurance providers are now requiring data feeds from policyholders’ devices — a practice that could potentially backfire, according to research author Michael Larner. 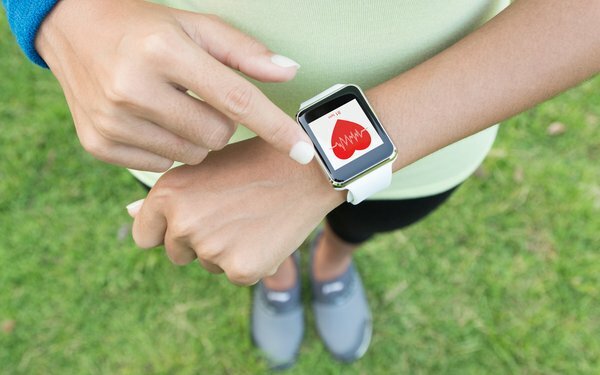 “Making wearables ‘must have’ to provide personalized care or receive medical insurance risks a backlash from patients and heightened regulatory scrutiny,” Larner warns in the report.